I remember when I first learned of gamerankings.com, I looked to see what the highest rated games were in its database. Ocarina of Time was number 1 (and remains so), but one of the games in the top 3 was Metal Gear Solid on the Gameboy Color. 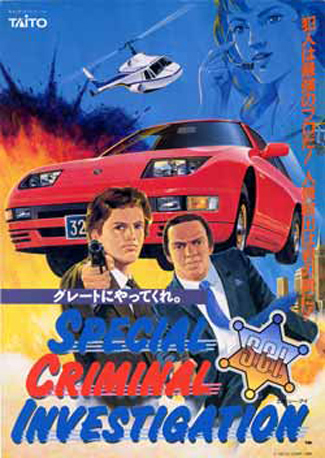 I always laughed at this one; while the game deserved all the high scores and praise it received, I loved the idea of a simple handheld game trumping some console classics in ratings. While it may not be the best thing you’ll ever play, Ghost Babel, which is the subtitle for the game that was removed in the States, is an easy vote for my favorite game on the Gameboy/Color. The concept is simple; take the overall depth and feel of the first two 2d Metal Gears, and spruce them up with the polish, style, and features of Metal Gear Solid. What you get is a surprisingly deep experience that doesn’t seem like it belongs on a handheld, until you realize that it makes a whole lot of sense. The reason for this, as I mentioned before, is that Metal Gear Solid was very much 2d in nature, with a top down perspective and relatively simple controls. Because of this, Ghost Babel can do many of the same things with little trouble. One item and weapon are assigned to the B and A buttons (like in the 2d Zelda games), Start lets you crouch, and any other stealth maneuver is handled by context sensitive use of the D-pad. Snake can just about do everything he could in MGS1, and while the lack of 3d and extra buttons removes some of the depth, it isn’t enough to make this feel like a gimped version of the game we already knew. Fans will feel immediately at home with how Snake moves, as well as with what they should or shouldn’t do. Beyond the basics, it is amazing to see just how much of the MGS experience translated into Ghost Babel. You have VR missions to train in, lengthy Codec drama to read through, and crazy bosses to kill (with life stories to tell afterwards). While the lack of graphical fidelity and voices make this a less epic experience than MGS, there’s no mistaking all the intrigue and challenge that still remains. This is easily the best story ever to grace the Gameboy line. 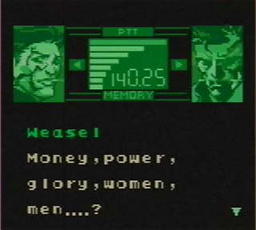 It is something of a different spin on the plot of MGS1; Snake comes out of retirement in Alaska, but rather than going to Shadow Moses to fight Liquid, he must stop a rogue military group that has set up shop in the ruins of Outer Heaven from the original Metal Gear, and will learn a thing or two about his past along the way. The story here is not part of the official Metal Gear timeline, but it serves its purpose nonetheless. 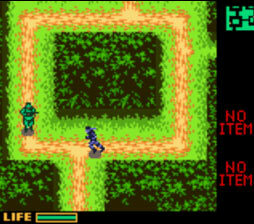 Those who have played Metal Gear 1 will also get a kick out of the setting; while the indoor areas are modeled like the ones in Metal Gear Solid, outside it resembles the jungle grounds of the NES/MSX classic. There isn’t much more to say about Ghost Babel. It is a wonderful hybrid of old and new that manages to get past technical limitations in order to provide an experience that compromises little from its console counterparts, at least relative to many console to handheld translations that we see nowadays. It is probably difficult to find this one anymore (my cartridge is unfortunately lost to an old high school friend), but Ghost Babel is easily one of the coolest things to come out of this franchise. The final entry in this already too long retrospective coming soon.